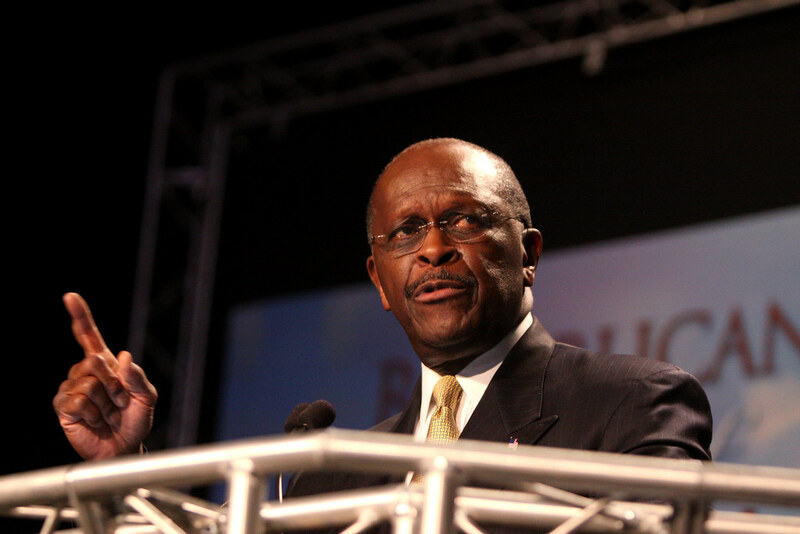 President Trump has announced that he will nominate business executive and one-time Republican presidential nomination candidate Herman Cain to the Federal Reserve Board. Cain,a former CEO of Godfather’s Pizza, served as the Chairman of the Federal Reserve Bank of Kansas City’s Omaha Branch, from 1989 to 1991 and as the Chairman of the Federal Reserve Bank of Kansas City from 1995 to 1996. Most Americans came to know Cain in the race for the 2012 Republican presidential nomination when he promoted the “9-9-9” strategy for tax reform. Cain withdrew from the race following accusations of sexual harassment during his time as CEO of the National Restaurant Association in the late 1990s. Sen. Mitt Romney (R-UT), who won the 2012 Republican presidential nomination but lost the election to incumbent President Barack Obama, offered a negative view of his former political rival’s ability to serve on the Fed. ““If Herman Cain were on the Fed, you’d know the interest rate would soon be 9-9-9,” said Romney in a Politico interview. Cain’s presidential campaign adviser Stephen Moore, who also worked on Donald Trump’s 2016 campaign and co-founded and served as president of the Club for Growth from 1999 to 2004, was nominated by the president last month for a seat on the Fed’s board.